Another Schiavo TOP2600 washing machine has been installed to be connected in line with a vertical CNC working center of a famous Italian brand. 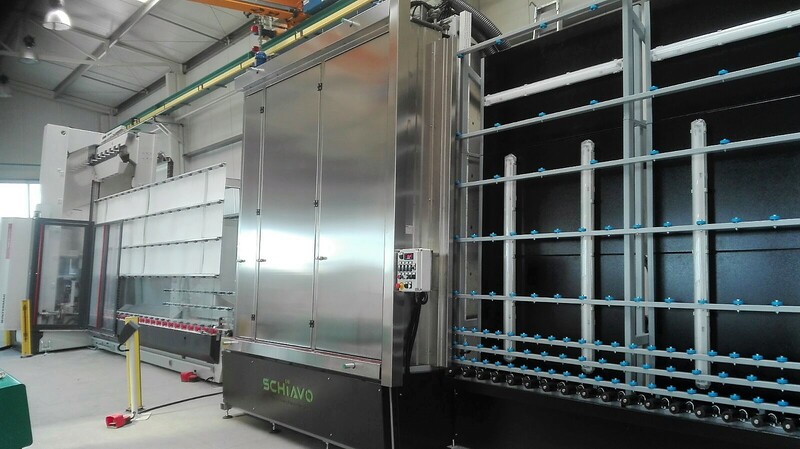 With 6 brushes, pre-washing zone, motorized opening to work with glasses up to 40 mm of thickness and many other special features, this machine becomes an excellent reference in Central Europeto spread the news about our quality and reliability. Many thanks to our partner who believed in our products and in our philosophy and thanks to our customer, who from now on will have the opportunity to boost his business thanks to the reliability of the TOP series washing machines.